There have been a few developments and some of them are good. Investigators appointed by Marine Gen. John R. Allen, the top U.S. commander in Afghanistan, found that the soldiers removed the Korans from a prison located at Bagram air base after they were found to contain extremist messages. U.S. military officials said that although the five soldiers will be reprimanded, it’s unlikely that their names will be released or that their punishment will approach the seriousness of what some Afghans are demanding, including trial in an Afghan court. But U.S. military officials expressed concern that the investigation’s finding — which stops short of pinning blame on malevolent soldiers — might not satisfy Afghan leaders who have have publicly demanded harsh retribution. A separate Afghan investigation, which is being conducted by parliamentarians and religious officials, is expected to conclude in the next several days. U.S. military officials worry that if the Afghan investigation clashes with their own findings, it could reinvigorate demonstrators whose anger has appeared to fade this week. 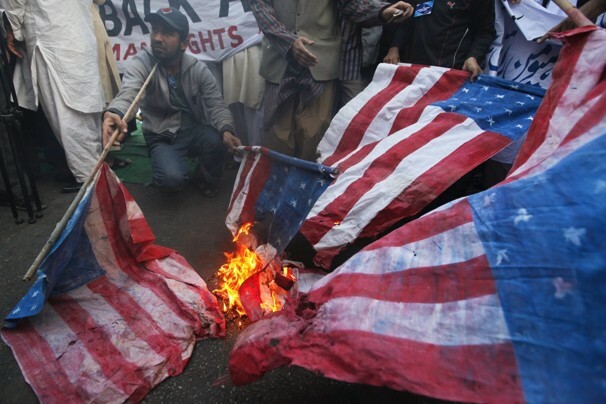 Even if the Afghan investigation is factually consistent with that of the United States military, it will very likely reinvigorate demonstrators out for blood regardless of any reason beyond that the Koran was burned by infidels. The most recent demands from Afghan clerics also came today. KABUL (Reuters) – Senior Afghan clerics said on Friday the burning of Korans at a NATO base last month was an “evil act” that must be punished, a demand that could deepen widespread public anger over the incident. “The council strongly condemns this crime and inhumane, savage act by American troops by desecrating holy Korans,” members of a council of clerics said after meeting President Hamid Karzai, according to a statement issued by his office. Any notion that those who committed the “evil act” of “inhumanely” and “savagely” desecrating Korans must be “publicly tried and punished” is anathema to most of us, beyond even the inference that trial will automatically result in punishment. As noted in my earlier article, any trial by general or special court martial would probably be open to the public, subject to requirements for proper military decorum conducive to the administration of justice. Summary court martial proceedings generally are not open to the public and neither are non-judicial punishment proceedings under Article 15 of the Uniform Code of Military Justice (UCMJ). If the learned clerics explained what punishments are to be publicly administered, how or by whom they must be administered, that was not reported. The rule of law as we know it is not a greatly favored concept in Afghanistan or in other Islamic countries. Even if the “senior clerics” were intimately familiar with the UCMJ they would likely consider it inferior and therefore subordinate to the Koran as well as to their multiple interpretations and fatwas. Laws and culture there are very different from those with which most of us are familiar and for us to destroy ours to make them acceptable there would be no less pernicious than ridiculous. Although massive steps have long been taken to make United States and NATO personnel sensitive to Islamic ways, they seem to have been less than entirely successful. Sacrifice of the unfortunate United States military personnel to the whims of the Afghan clerics — and this does not appear even to be under consideration by the United States military — would not likely have any impact on our relations with Afghanistan (and other Islamic countries) beyond emphasizing once again the weakness of the United States under President Obama in the face of their barbaric killings and other religious activities. That would not be the only damage to the United States. Following an appropriate military investigation into what happened and why, determinations should be made by the military commanders of what should be done, consistently with the UCMJ and in accordance with our — not the Islamic — system of justice. Then it must be done, promptly. The incendiary burnings apparently occurred on or about February 21st. Presumably, the investigatory process began about ten days ago. All relevant witnesses should by now have been interviewed and their statements taken. In view of the apparently now contemplated maximum punishments of loss of rank, it now seems that no decision has been made to proceed by court martial. Loss of rank can most readily be accomplished — if even that is appropriate — through non-judicial punishment under Article 15 of the UCMJ. 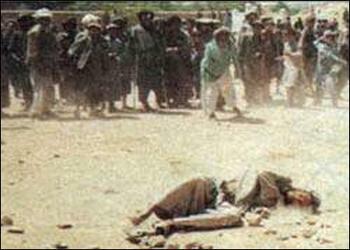 Whatever happens should not happen in Afghanistan or any other Islamist country. That would very likely result in additional Islamic violence, including more deaths, because the punishments — if any are to be imposed — would be unsatisfactory to them. I agree. A muted apology for inadvertent Koran burnings was appropriate. As noted in my earlier article, we do not know what President Obama’s letter said because it was not deemed appropriate for reporters to read it. Whatever he may have said, once was enough and may have been too much. Now, the most that should be said publicly is that an investigation of the facts is underway, that the consequences will be determined based on that investigation and on the UCMJ and that in no circumstances will any United States military personnel who may have been involved be turned over to Afghan authorities for any purpose or in any circumstances. If such a statement results in worse and continuing Afghan violence — and it may well do so — we should leave, taking all of our troops, equipment, other resources and funding with us. As quickly as possible. If what happened was an honest mistake, without any intention of doing harm, then Article 15 punishment is probably appropriate. It could also be that only the soldier who made the mistake of telling other soldiers to do it should be punished. The probably low-ranking solders and/or Marines who did what they were told, without knowledge that it was wrong and without intent to do wrong, should receive nothing more than an admonition, if that. I didn’t like President Obama’s apology, but it was consistent with the wussie discourse of international relations. I would have preferred to see a statement that was less an apology and more an explanation that it was an honest mistake. Of course, we don’t know what he said in presumably greater detail in his letter to Karzai. What really bothered me was General Allen’s apology. A U.S. Marine general humiliating himself and his command that way was shameful and disgusting. We’re never going to transform that primitive society into anything resembling a democracy or even a viable nation-state. We should have cleared out of that place many years ago. Amen. Make that double Amen.